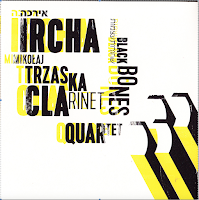 Another album which should have been reviewed much earlier : Black Bones by the Nikolaj Trzaska's Ircha Quartet, which consists of Trzaska, Michał Górczyński, Paweł Szamburski and Wacław Zimpel on Bb and bass clarinets. Zimpel adds the alt clarinet and the toragato. 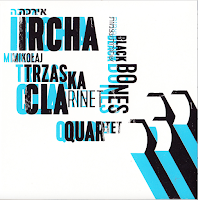 The quartet's output of the past few years has been highly appreciated by this blog, and especially their latest from 2012 "Zikaron Lefanay", which received a five-star rating. 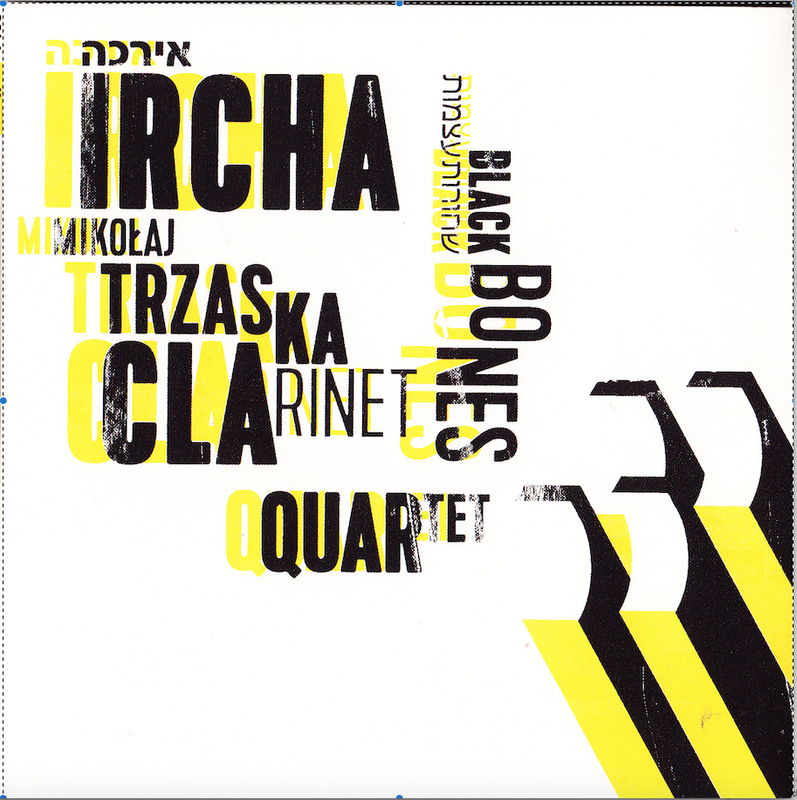 The music on this album continues in the same vein, re-discovering and re-exploring traditional jewish songs, from mainly sephardic and hasidic origin, interspersed with some own improvisations and compositions. The four musicians no longer need to be introduced - they know what a clarinet is and their polyphonics are among the most beautiful you will hear, yet at the same time, we know them to be adventurous too and that's what keeps the interest going and brings them more than a level higher than the traditional klezmer bands who only play nice and reverent tunes, or than John Zorn's more hybrid subgenres. In the best of cases klezmer music reaches a nice and conflicting emotion between melancholy and joy. 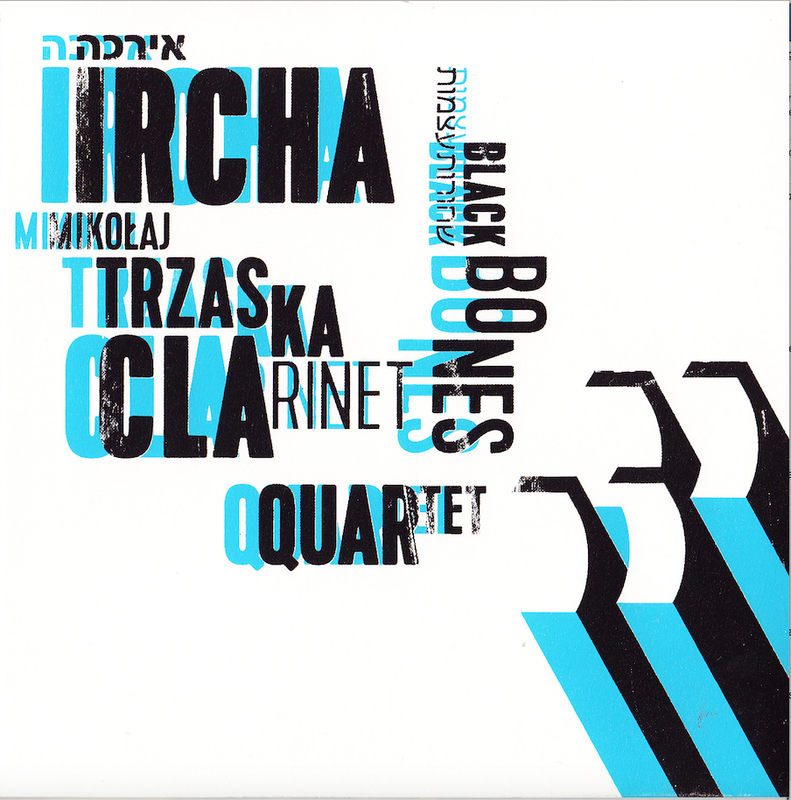 yet Ircha goes deeper, and through their skills they revive the feelings of despair, anguish, fear as well as feelings of beauty, awe and spiritual elevation. Combining these extremes is quite a feat, and that's the result of their unwillingness to compromise, and their craft of bringing emotion with intelligence, in the way the compositions are structured and in the way the four clarinets co-create a very unique sound, but especially because they do not shy away from the more emotional moments. Some pieces will make the tears pop out of your eyes, if not for the infinite sadness, then for the sheer beauty of the interplay. The first album contains eight tracks and was recorded in the studio. The second album contains eight different tracks and was recorded live. The two albums are sold separately, but are considered as a whole. You can listen and download from eMusic.